Grab your nautical striped beach bag and head for the boat. Large cruising tote with rope handles. 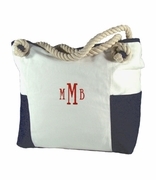 Attractively designed nautical cabana boat tote. Roomy tote with navy-white stripes. Lined open tote. 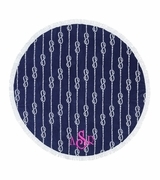 Includes name or three letter monogram. Boat tote is lined and measures 20W" x 14H" x 7 inches across bottom. Durable poly cotton blend, open tote. Ordered it as a gift for teacher who loves the beach! 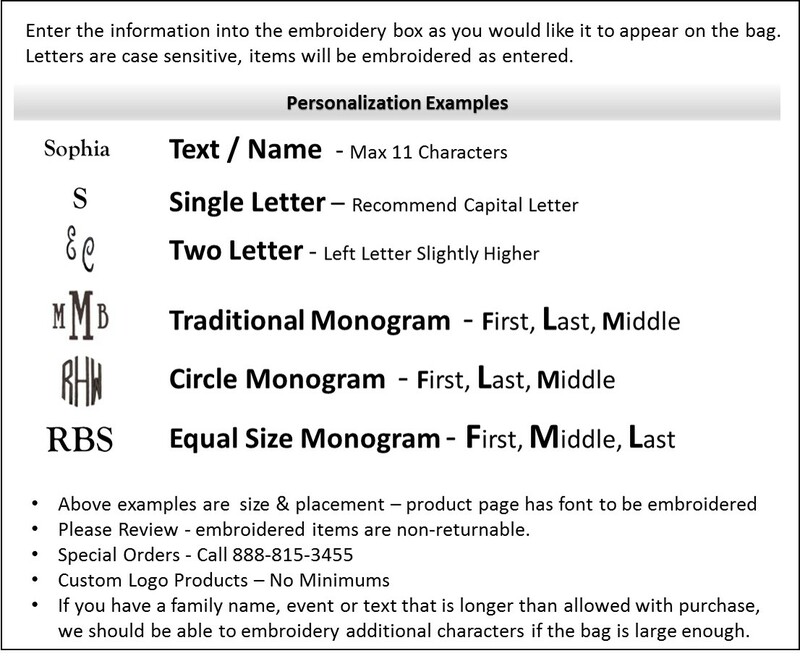 Had it monogrammed. She loved it!! Stuffed it with towels, lotion, etc... Good size bag, nice quality, very happy with purchase and price! Couldn't be any better. I added beach towels for a shower gift. Great bag and wonderful quality for the price.